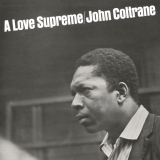 A Love Supreme is ranked as the best album by John Coltrane. Members who like this album also like: The Velvet Underground And Nico by The Velvet Underground And Nico, Revolver by The Beatles and Abbey Road by The Beatles. Related links: top tracks by John Coltranetop tracks of the 1960s, top tracks of 1965. Showing latest 5 ratings for this album. | Show all 1,138 ratings for this album. Basically this is John Coltrane talking to God. Every time I listen to A Love Supreme it takes me to new places. Serene and mystical, this album unfolds like a long river, sometimes tumultuous, sometimes relaxing. A journey revealing planing images and a surprising variety. The best album of the 60s. I remember hearing this as a beat for a Lupe Fiasco mixtape and thinking how amazing it was before ever even listening to Jazz. This album is so smooth and relaxing but at the same time grandiose. I look forward to listening to more Coltrane. Grande marco do Jazz, música sem limites e regras! Either this or Giant Steps is my favourite. An incredibly creative, fresh and spiritual experience whilst still maintaining Coltrane's memorable and lyrical phrasing. While certainty musically impressive, the grandiose nature of the latter half severs the connection to the "supreme love". My word, what a place to start for someone who's never listened to John Coltrane. After just my first listen I know I'm going to want to keep coming back for more. Just stunning musicianship. So glad to see that this album is not only now in BEA's top 100, but climbing. Should really be considered as essential as Kind of Blue.